Cataract surgery affords an almost miraculous restoration of clear vision. It is one of the few medical procedures that can literally turn back the hands of time. Improved Color Vision - Once the cataract is removed, colors are no longer tinged by its effect. Colors will be much more vivid and vibrant after surgery. 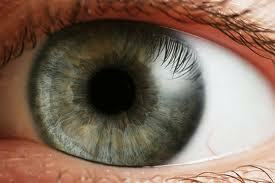 Improved Clarity of Vision - Visual acuity is usually improved. Reading and watching television can be enjoyed thanks to sharper, clearer vision. Increased Independence - Following cataract surgery, many patients eyesight is improved to the point that they can regain their driver's license. Improved Quality of Life - Improved vision leads to renewed interest and participation in the fun things in life. Hobbies, work, and enjoying the company of friends comes easier when vision is improved. Reduced Dependence Upon Corrective Eyewear - The lens implant used during cataract surgery may be able to compensate for pre-existing focusing problems such as nearsightedness or farsightedness. Glasses may be needed for some activities, such as reading or driving. When glasses are required all the time, the lenses are often able to be much thinner, making the spectacles lighter and more attractive.